Flexible by design, affordable by nature, valuable by any measure. Simple, Flexible Product Licensing and Service Level Agreement Terms. 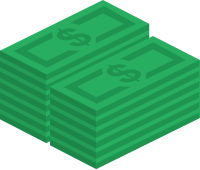 Scalable Architecture = Pay only for what you use. Web-based, HIPAA-Compliant Solutions - on-premise or fully hosted. Multi-faceted customer support, including: Help desk system, on-demand training, and custom consulting services. 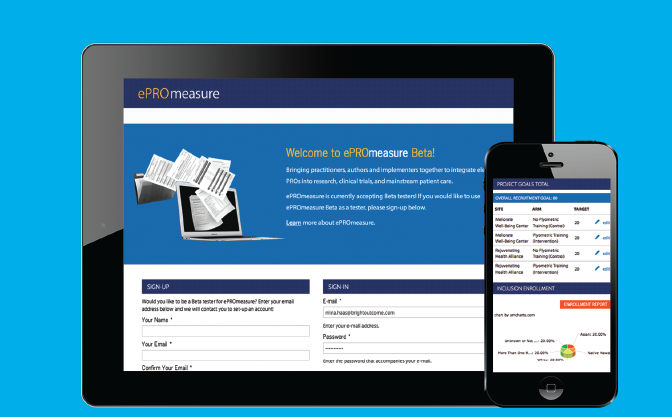 ePROmeasure™ is an advanced web-based ePRO solution designed for health providers, researchers, clinical trial mangers, and Life Sciences professionals. Turnkey ePRO study design, administration, data capture, scoring, and reporting for accurate, affordable ePRO research insights. Data capture and automated scoring of PRO data via our proprietary assessment algorithm. Featuring the industry’s leading PRO instruments, including: PROMIS®, FACIT©, DSM-5, RAND©, and many more! Supports the most advanced PRO instruments, including CAT/IRT questionnaires. A comprehensive patient engagement, treatment management, and support platform designed specifically for Women living with Cancer. MyCaringCircle gives patients a secure location to store all of their cancer-care information such as medical records and treatment plans, keep track of their cancer-related events on a personal calendar, keep a private journal, and report cancer-related symptoms that will alert their provider to moderate to severe symptoms. 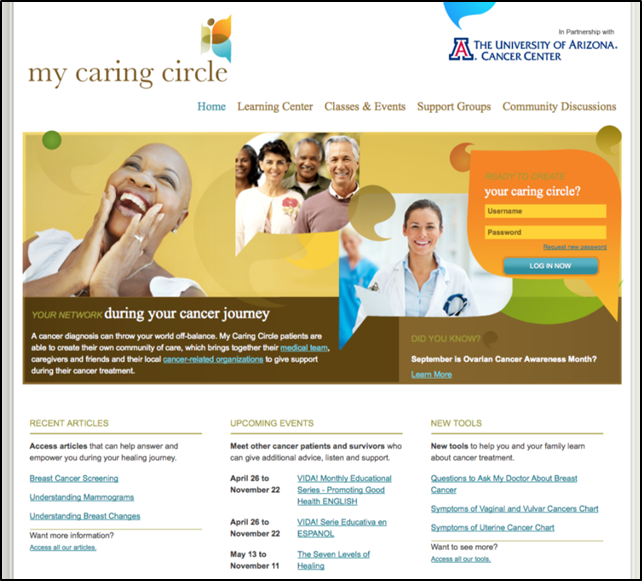 MyCaringCircle™ provides patients with social networking components such as the ability to “friend” current cancer patients and caregivers, create a personal online support group, post messages and pictures with friends, family, and fellow survivors, find and register for local cancer-related events. The MyCaringCircle portal further empowers Cancer patients and their loved ones by providing access to easy-to-read, reputable, and up-to-date educational materials about cancer and cancer care. Proven to reduce the burden of SymptomCareAnywhere and improve health outcomes among patients in outpatient and home-based care settings. Our SymptomCareAnywhere (SCA) system is designed to reduce the burden of self-management for Cancer patients in outpatient care settings or at home. This system provides an easy to use interface for real-time symptom reported and administration of electronic PRO surveys selected by the clinical care team. Selected by their clinical care team. 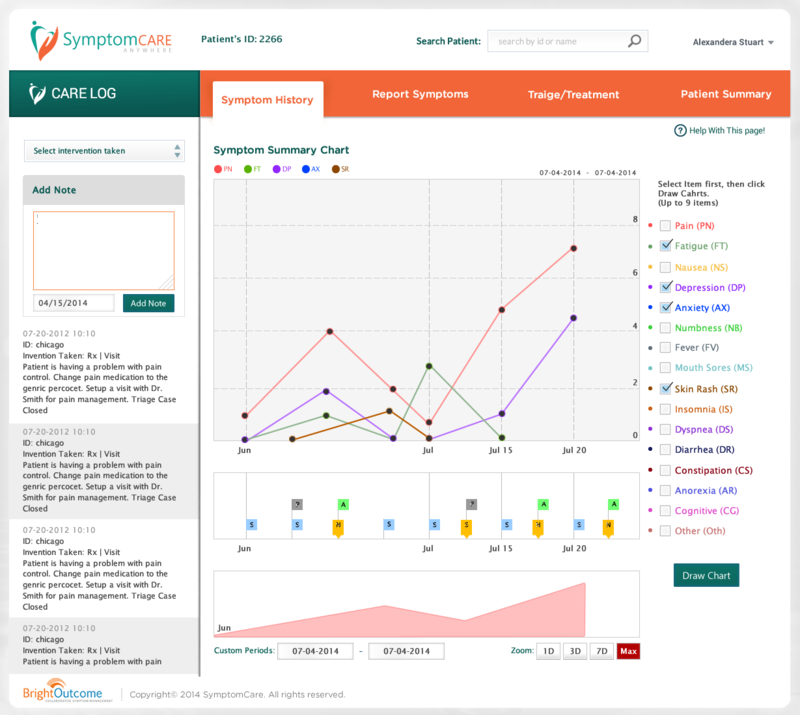 The SCA system provides a current symptom summary alongside historical symptom charts, and personalized just-in-time educational content. If symptoms are reported as moderate to severe, a designated care team member will be alerted automatically via email or paged alert. A 41-subject controlled clinical trial demonstrated that frequent use of our SCA solution by patients during active cancer treatment resulted in statistically significant improvements of their self-reported physical and functional well-being as measured by FACT-G.
High frequency users experienced statistically significant improvements in both physical/functional status as well as social/family well-being vs. the control group. Findings suggest that our SCA system is an effective means of providing assistance in managing cancer-related symptoms in an outpatient setting, significantly improving patient outcomes. A larger trial is currently underway to confirm these findings. Symptoms covered in the SCA currently include pain, fatigue, depression, anxiety, insomnia, nausea/vomiting, numbness, fever, mouth sores, skin rash, shortness of breath, diarrhea, constipation, decreased appetite, and concentration problems. Adaptive (CAT/IRT) item banks from PROMIS are used measure the impact of pain, fatigue, depression, anxiety, and insomnia. BrightOutcome is the ideal partner for your one-off custom project. 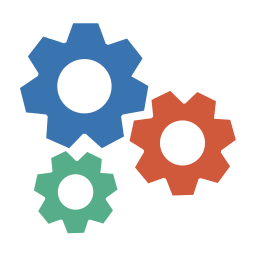 We offer flexible and cost-effective project consulting, custom product design, development, and integration services. With our deep roots in the consulting services industry, BrightOutcome can partner with your organization to plan, design, build, and deploy your next custom Healthcare IT system. 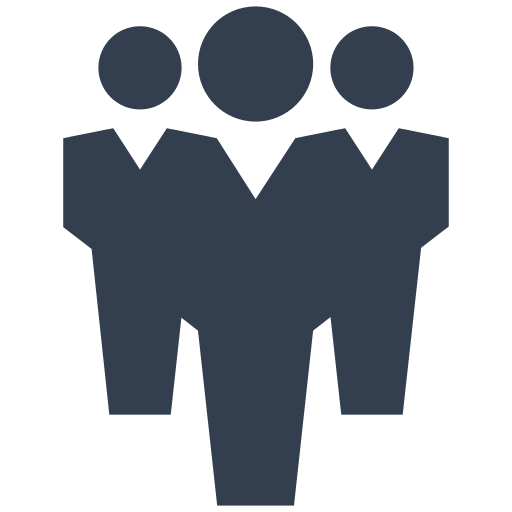 At BrightOutcome, we’re much more than a technology product licensing company. Our team brings decades of combined experience leading consulting, design, and development projects for a variety of the world’s leading brands. We combine industry best-practices in User-Centered Design (UX/UCD), front end web development, project management, and Integrated Marketing Communications with our deep Healthcare IT knowledge to help you tackle your most ambitious projects. We’ll leverage our in-house capabilities as well as our robust partner network to ensure your project is appropriately scoped, staffed, and managed throughout the project lifecycle. 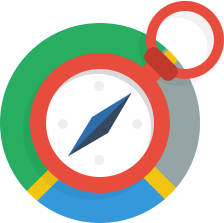 Our smaller size ensures that we’re able to remain nimble in the face of tight budgets, seemingly impossible delivery timelines, and ever-changing requirements. Copyright © 2014-2019 BrightOutcome Inc. All rights reserved.